Still think the UK police using water cannons is a good idea? A German pensioner, blinded by a police water cannon, is set to address a public meeting in London debating the use of the cannons in Britain, after opponents of the measure raised the cash to pay for his airfare. 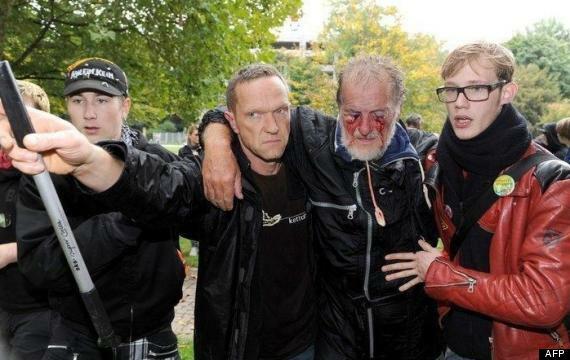 Dietrich Wagner was left unconscious, his eyes irreparably damaged when he took the full force of a water cannon to the face during an environmental protest in Stuttgart. His eyelids were torn by the force of the water, damaging the lenses of his eyes and fracturing his orbital bone around the eye. Protesters are set to gather outside London’s city hall on Monday before the official public meeting, with speakers including Wagner, and Baroness Jenny Jones, the former mayoral candidate and Green Party London Assembly Member. Around 65 people pledged £1,140 to pay for Wagner’s flight and accommodation in London, via crowdfunder, to allow him to address the meeting, with a translator present. There is no guarantee Wagner will be able to address the meeting at the Greater London Authority dependent on time constraints. A Change.org petition opposing the cannons, which has almost 35,000 signatures, is due to be handed in at the public meeting. Joanne Darrant, a mother of two from Stoke-on-Trent, who began the petition, said the proposal made her “seriously question how their use is going to be properly monitored and how innocent people will be spared from getting hurt. The Metropolitan Police has repeatedly stressed the benefits of the cannons as a crowd control measure, in the aftermath of both the 2011 London Riots and the student fees protests. In January, Mayor of London Boris Johnson wrote to the home secretary informing her of the public consultation on whether the cannons could be used in “extreme circumstances”. A final decision by London policing authorities is expected by the end of the month, but then Theresa May make the final decision whether to licence the machines. Lady Jones said in a debate at the House of Lords on Wednesday: “The sort of disorder that’s happened in last few years is often by small groups of people, moving quickly, staying in touch with mobile phones and social media. Home Office Minister Lord Taylor of Holbeach said the government was considering if water cannons “may be of use in future in tackling the most serious disorder”. “The home secretary will make a decision on the use of water cannon when she receives the authorisation package from Chief Constable David Shaw and at that time she will consider the factors,” he said.  This entry was posted in Uncategorized and tagged Germany, Metropolitan Police, Rioting In UK, Riots, Theresa May, Uk Police, Water Cannon. Bookmark the permalink.